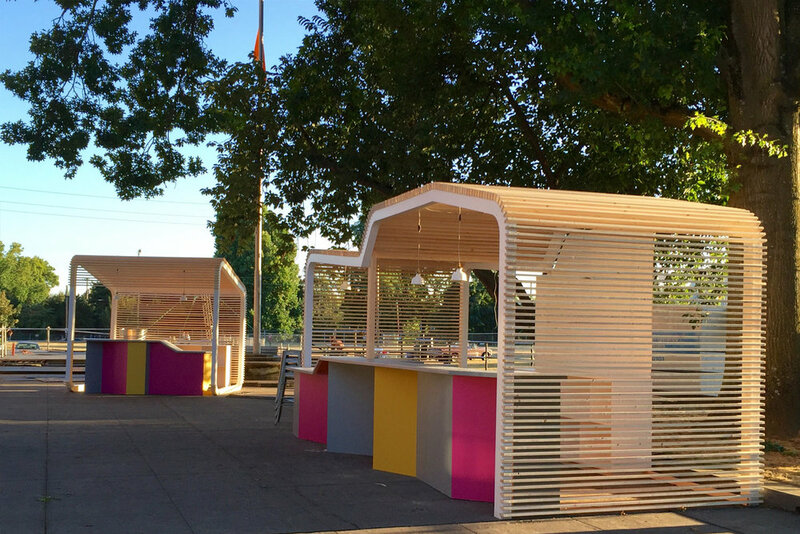 Co-Directors Andy Biao and Andy McMillan of the XOXO Festival needed a way to define their event space, provide direction and organization for 1,000+ participants at the 2016 Festival in Portland, OR. 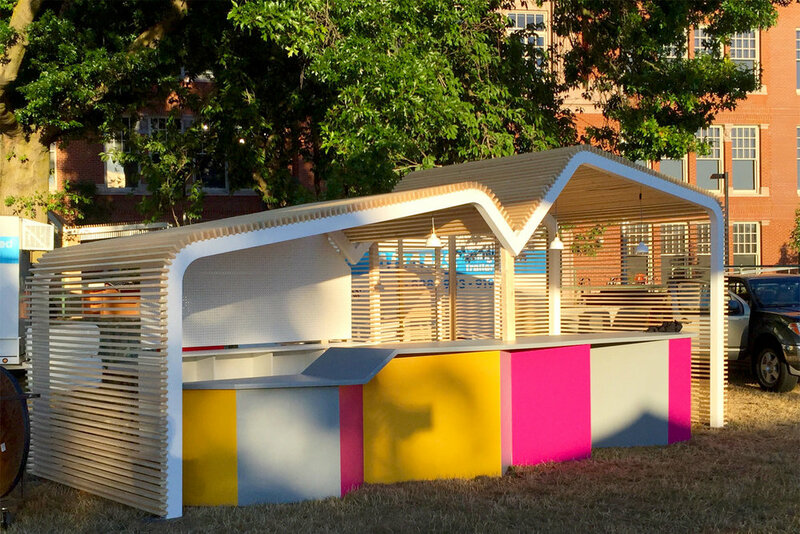 Big White Box designed and fabricated a series of architectural structures that created a welcoming area, visitor question booth, and a stylish bar. 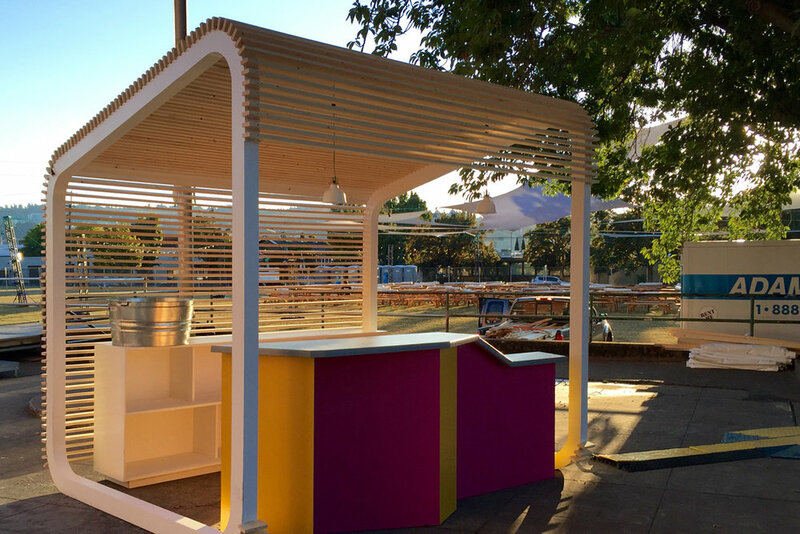 By creating a streamlined modular component design, we were able to large dynamic architectural structures that delighted participants within an almost impossible three-week design/build/install timeline. Design: Rob Off. Fabrication: Rob Off. Install: Rob Off.